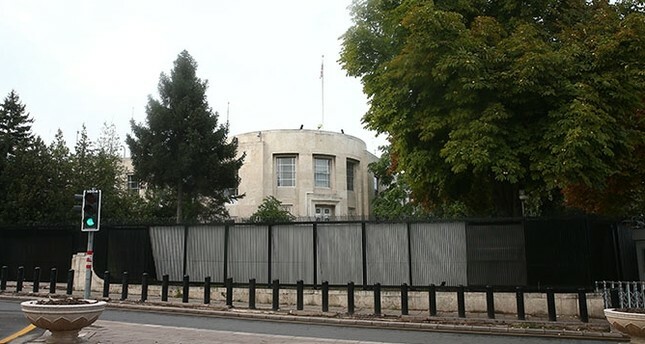 The U.S. embassy in Ankara said Sunday that all non-immigrant visa services in its diplomatic facilities in Turkey were suspended after the arrest of one of its employees over the Gülenist Terror Group (FETÖ) ties. A statement released by the embassy said: "Recent events have forced the U.S. government to reassess the commitment of the Government of Turkey to the security of the U.S. Mission facilities and personnel." The statement said the suspension, effective immediately, is intended to minimize the number of visitors to the consulate and embassy buildings. Hours after the U.S. decision, Turkey said it has halted processing visa applications from the U.S. The move, announced online by the Turkish embassy in Washington, applies to visas in passports, electronic visas and visas at the borders, and is also effective immediately. Metin Topuz, a Turkish employee working in the U.S. Consulate in Istanbul was arrested on charges of espionage and links to FETÖ, the group blamed for the July 15, 2016 coup attempt that killed 249 people in Turkey. According to the indictment, the suspect was in contact with a number of former police chiefs in Istanbul where he worked, and all those police chiefs involved in the 2013 coup attempts were FETÖ members in the judiciary and law enforcement. He was also in touch with Oktay Akkaya, a former lieutenant colonel who was among the main actors in the 2016 coup attempt. "The suspect acted as a liaison between members of FETÖ and its leader, Fetullah Gülen, who lives in Pennsylvania," the indictment adds, claiming there is strong evidence to justify Topuz's arrest.